It’s not a secret that I’m a pretty big fan of the book Eat Pray Love by Elizabeth Gilbert. It’s a memoir. A love story. A spiritual handbook for the new millennium. It is a how-to guide for those of us that have ever wondered how in the hell we ended up in this cookie cutter existence, with no flavor whatsoever, no zest, and spinning ever closer to a point where that list of things we wanted to do with our lives become a distant memory. However, there’s a great deal of criticism that has been heaped upon this book. Of course, this is only natural when a book reaches the heights this one did. The more successful a book gets, the more it gets torn apart. What is the main criticism of this particular memoir? Elitism. Entitlement. And…I’m sure other ‘E’ words. 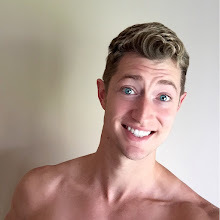 One reviewer of the book calls Gilbert’s bestseller ‘priv-lit.’ Meaning that it exemplifies a lifestyle of privilege, one in which a woman can have all that she wants and be a fully self-actualized person if she trots out on her own with a boatload of money. Indeed, wealth seems to be a fixation of those that have a grief with the book. For some reason the focus seems to be on the fact that this woman has the luxury of being able to trot away from her marriage and travel the world in one of the most self-serving adventures in literature. Let’s forget for a moment that the woman was drowning in depression and lack of identity. Hey, she’s flaunting her fabulous lifestyle in our faces! Raise the pitchforks! Light the torches! Roll your eyes and groan loudly! I get it. It’s unrealistic to expect that the physical journey this woman went on is something that can be replicated. If you or I are feeling trapped in our middle-class glass houses we can’t go smashing them and running off to Italy to eat ourselves silly. We can’t go pray for 3 months in India. And, we definitely can’t go buy a house for a native healer and her three daughters in Indonesia while finding the perfect man. But, if we’re thinking that Gilbert is expecting us to live a year of our lives in the same way, we’re a little bit more of a jaded audience than I thought. She’s an author. She was a rather successful author, by most standards, before Eat Pray Love was published, and now she’s just an uber-successful author. Her career allowed her to have these experiences. We can enjoy the book without having to begrudge her success. But, it’s more than the wealth that pisses people off about Gilbert. For many, the sense of entitlement - or so people call it - that many readers have gleaned from the book’s pages is more than enough to induce groaning. This particular point of contention, though, is something I am so very confused about. I do not understand exactly which part of Gilbert feeling entitled to something is wrong or improper. Critics gripe that the book reeks of a sense of entitlement pervading modern day self-help literature. You’re entitled to the best job, the best partner, the best spiritual experience, the best income, the best life, etc. etc. etc. Everyone in America feels owed something by the Universe for the very fact that we were born in the country of opportunity. We see stories on TV everyday of people dumber, uglier, and less talented than we are striking it rich because of opportunity. And, look how happy that person being interviewed is! He/She is living in a great house with a great partner and a great dog/cat. They’re spiritually and emotionally balanced, and have the best that life has to offer. How do you get this ‘best’ everything? Spend! Money is the glass ceiling when it comes to true spiritual, existential, philosophical, personal, and professional happiness. Or, at least, that is what the idea behind priv-lit (privileged literature) is. It’s an interwoven issue: you’re not happy, so you have to spend money to gain access to the ability to be happy. Contrariwise, if you’re not happy and you don’t have money, then you cannot be happy. I’ve not read a lot of self-help books. (In fact, I would just like to say here and now that I don’t think Eat Pray Love is a self-help book, but I suppose I’m no expert on the matter.) I’m just not really sure that Gilbert’s memoir fits into any of these categories. Now, I’m not some extremist fan that thinks the book is flawless and should be regarded as religious liturgy. I just don’t think it’s evil, and it has some great methods for finding out who you really are and how to create your own spiritual path. The book tells us that if you feel there are parts of your life that are lacking, and you’d like them to improve, you should surround yourself with the people that do that thing the best. Gilbert picked enjoying life, spirituality, and balancing the divine with the mundane; she chose Italy, India, and Indonesia. But, say your name is Mary and you don’t have a publisher willing to front you the dough to fly off to several countries in order to find enlightenment. Say you’d like to learn to be healthier, more well-read, a better listener, more spiritual, less needy, balanced, or any of a thousand qualities we would like more or less of in our lives. Are there not people you know that exemplify those qualities? But, how dare we white westerners feel as though the world owes us something. Right? How dare we expect that we should have the best? Well… There’s something to this argument. There’s a difference between enjoying the best of life and purchasing the best of life. You don’t become spiritually enlightened by buying a native priest and putting him up in your mansion for daily sessions. Sure, that might be convenient, but at some point the guy becomes an accessory. Hell, if your house is big enough he might become a lost accessory found years later in the basement living off leftover caviar and Gruyere. You get what I mean. Hopefully. If we overlook that the woman was given the financial means to trot the globe and find inner peace, would we all be as pissed off by this woman’s happiness as we are? Would we begrudge her success? Those of us that don’t like happy people because they’re happy, maybe, but not the rest of us. If she had gone to Idaho, Illinois, and Indiana instead of Italy, India, and Indonesia, would we still call this priv-lit? Being happy isn’t something for the wealthy or the meek or the Italian. It’s something each of us is entitled to. We’re not meant to be miserable creatures fighting for the last shred of bliss. We can each have it. We just have to realize that it is priceless. The book did well, because it was a mental getaway. You went with this woman around the world learning the lessons of 3 beautiful cultures. But, if the takeaway for you was that you could only be happy by doing the same thing, then you missed the point. Don’t you just want to smack those people while feeding them lard-covered donuts? Happiness, spiritual enlightenment, internal wellness isn’t something that can be bought. If you have every single tool, book, cd, podcast, and you take yearly trips to every single major pagan festival around the globe every single year…it won’t make a lick of difference. This woman could just as easily have made this yearlong journey only to find that she had spent a hell of a lot of money and not learned a damn thing. We need to be open to the lessons of life as they are being taught to us. We need to recognize those aspects of ourselves and of our lives that are not working, and we need to realize that, yes, we are entitled to fixing them. We deserve happiness. We don’t necessarily deserve first-class tickets to a globe-trotting adventure, but we deserve happiness. That is, and should be, the lesson of Eat Pray Love. We need to see beyond the bounds of what we don’t have. We need to see the lesson and not the pearl necklace worn by the teacher. Just because the new self-help/priv-lit genre seems to be focusing on upper-middle class white people that just can’t seem to understand why we can’t all head off to a summer-long yoga retreat to find ourselves doesn’t mean that there aren’t lessons to be learned there. We gripe. We spend tons of money to get over those gripes. We swoon and fall into the arms of the perfect person. We must be smoking something, because that isn’t the reality for the majority of the population. But…maybe…just maybe we can get the same result without steps one or two. We just have to plop ourselves down in the middle of life and listen for the lessons. Love your thoughts on the subject. I find it quite irritating that so many people think that more money will mean or bring more happiness, or that they are entitled to such things. I find myself at the moment in an unhappy marriage and myself lost as to who I am. I don't have the means like Liz did to trot off to 3 countries, BUT that doesn't mean I can't find my way where I am at. Surrounding yourself with those who see those things in you that you may have lost sight of, people that lift you up when you are feeling down. Money isn't everything and it can't buy happiness. I've not read the book yet, but I think maybe that the problem some might have with it is that she had the courage to do what others only gripe about doing. 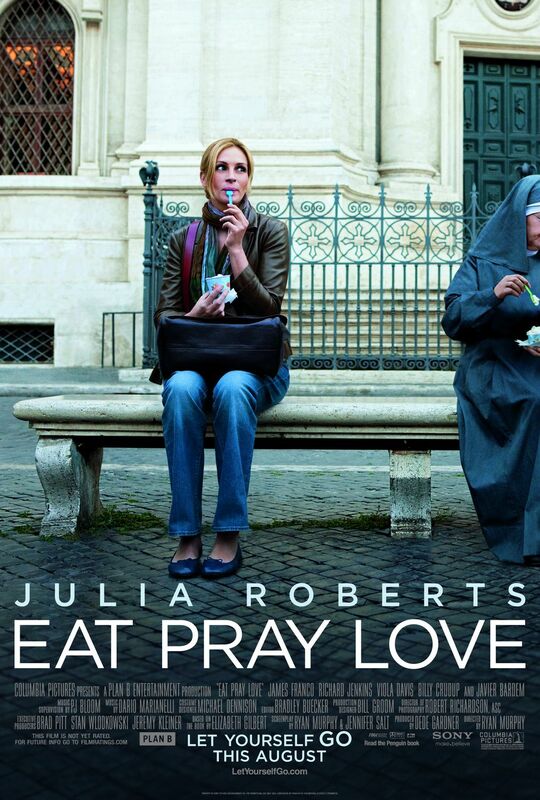 Anyone can find their "Eat Pray Love" in their own 'backyard' if they only take the time to try, look and listen. A few years ago I was in the middle of a huge mess I had created and truly thought I was never going to fix it all if I didn't pack a bag and just run but then in a moment of clarity I remembered 'Bloom Where You Are Planted' I burned this into a plaque and put it where I could see it, thinking that if you pulled out a flower and replanted it over and over again it would never bloom. I might not be able to travel out there to find the answers but I could find my answers right where I was and I could Bloom. I did just that. 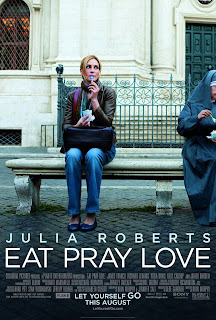 I very much enjoyed Eat Pray Love for what it was and for the pleasure it gave me as well as a bit of insight or ideas. No more than that.